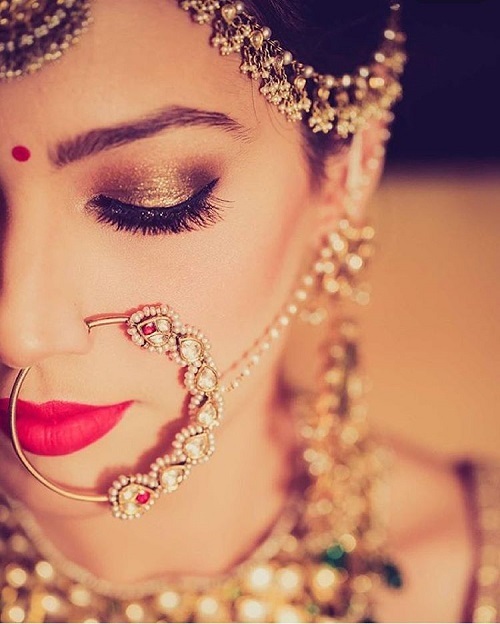 10 Makeup Artists EVERY Bride Must Follow On Instagram! Your bridal makeup can make or break your look on the D-Day. And you’ve got to do your bit of research before settling on the looks you want for each of your functions. Plus, it’s that one part of planning your shaadi that won’t stress you out. So whether you’re a bride-to-be or her best friend… this one’s for every girl who loves makeup! Here are 10 makeup artists you should start following on Instagram, ASAP! Image: Jasmeet Kapany on Instagram Undoubtedly one of our favourites, Jasmeet’s Instagram account is full of real bride inspirations that are a treat to look at. From metallic eye makeup to bold lips, there’s a lot to inspire brides-to-be. Her style is bold with a touch of vintage elegance. Follow Jasmeet Kapany here. 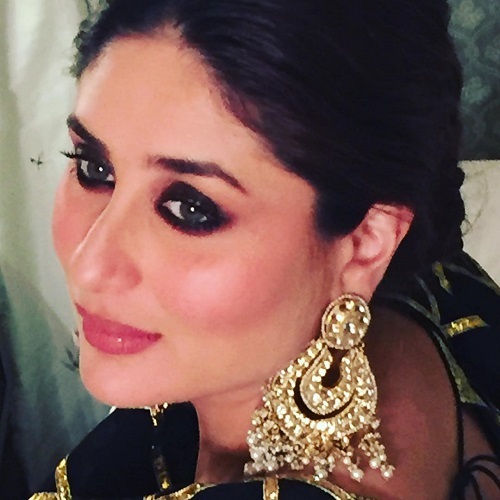 A celeb hair and makeup artist, Daniel Bauer’s clientele includes Aishwarya, Deepika, Katrina, Priyanka and the likes. If celeb inspiration is what you’re looking for, you totally need to follow this account. Close-ups of Deepika’s latest appearances and Katrina’s red carpet looks, you’ll find it all here. Follow Daniel Bauer here. 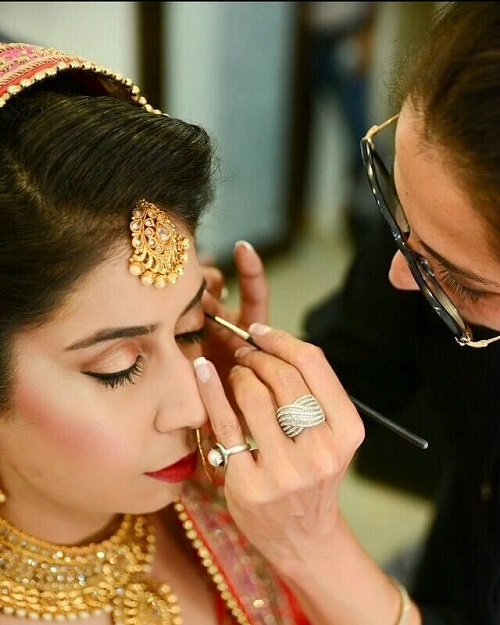 Image: Chandni Singh on Instagram Delhi-based makeup artist, Chandni Singh is a lot of brides’ first choice. And her Instagram account tells us why! If you’re looking for traditional bridal makeup or ideas to glam up your cocktail with bold eyes, here’s where you’ll find it. Follow Chandni Singh here. Fresh and minimalistic makeup, that’s how you’d define Tejasvini Chander brides. Along with being a makeup artist, she is also a Youtuber and her insta page is sure to give you some major wedding makeup goals. Lots of real bride inspirations for all your functions! Image: Mallika Bhat on Instagram Responsible for Mira Rajput’s much talked about wedding looks, Mallika has also worked on fashionistas like Sonam Kapoor. Now that’s reason enough to follow her, right?! Her page is a mix of celebs and real brides and you sure don’t want to miss it! Follow Mallika Bhat here. Besides bridal makeup, Jitin also does a variety of fashion editorial shoots and that’s why his Instagram is full of all things beautiful. Plus, there is just so much variety! From exaggerated eyes to subtle morning makeup, there are a lot of ideas to grab from this one. Follow Jitin Rathore here. 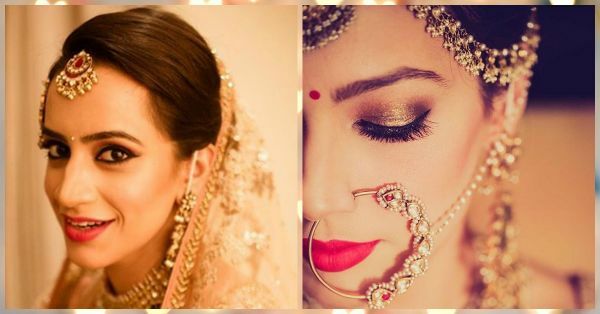 Image: Makeup by Simran on Instagram An Instagram page that’ll make you want to be a bride, right away! Every picture is so different from the other and every bride is as gorgeous as can be. There’s a lovely play of colours and you’ll want to keep scrolling through the page forever! 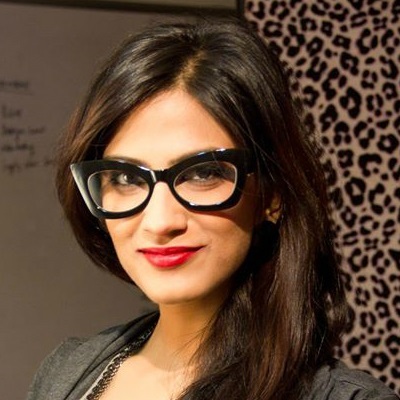 Follow Simran Kalra Yashpal here. Here’s an Instagram account that you will stay put at for hours on end. 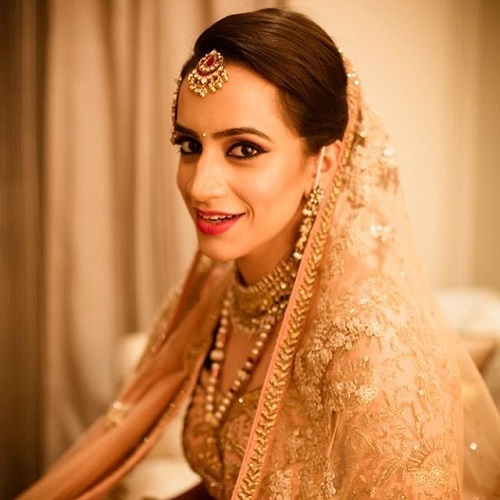 A picture wall of the most beautiful brides, Prerna Khullar’s account is all that a bride ever needs. Well-defined eyes, picture perfect makeup, this one’s got truckloads of inspiration! Image: Pooja Sonik on Instagram Love dramatic eyes as much as we do? Head straight to Pooja Sonik’s Instagram. Midnight blue, blush pink and steel grey, you can browse through the prettiest eyeshadows. And lot’s of fun and quirky makeup quotes to go with it all! Follow Pooja Sonik here. A no nonsense page with only and only bridal closeups for you to scroll through. And with around 800 images on her page, you are guaranteed a lot of variety. Cocktail glam, traditional bridal or minimalistic makeup… there’s something for every kind of bride. Follow Shruti Sharma here. Get cracking, ladies, you’ve got some Instagram-ing to do!